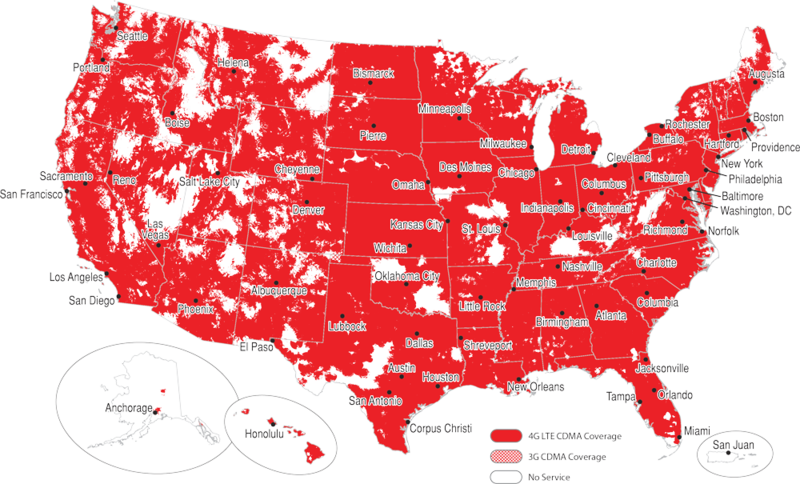 Page Plus Cellular is a no-contract wireless provider with nationwide coverage on one of the largest networks in the United States. Page Plus is consistently ranked high among wireless providers for low rates, flexible plans and exceptional customer service. All of our plans have the great features you expect. And switching plans is easy too. MINIMUM OF 10 ACTIVATIONS WITH THE $29.95 OR HIGHER IN ORDER TO QUALIFY FOR REWARDS. With no contracts to sign, no commitments and no credit checks, getting started with Page Plus is simple. When it’s time to renew or replenish your plan, refill online, on the phone, at a dealer - whichever is most convenient for you. We give you the most reliable nationwide coverage at the lowest cost, and the freedom of no contract and no commitment! Page Plus Cellular offers reliable nationwide coverage on one of the largest networks in the United States. Refer to the map below to see the coverage in your area. We make it easy for you to get prepaid cell phone service by offering flexible plans at affordable prices. There are no contracts and no credit checks and you only have to pay for what you need. New policy regarding ALL (3G and 4G) activations: When 4G launches, all new activations and port-ins will require that a plan PIN be applied to the new account at the time of activation. In the case of port-ins, the PIN will be in a reserved state until the port completes. In conjunction with the above, we will no longer provide a complimentary $2.00 credit on the account at activation. Compatible LTE devices and Page Plus SIM cards are required for Page Plus 4G LTE. LTE devices from other carriers will not work. For more information on compatible devices, please contact dealer support. ESN swaps: You will NOT be able to perform an ESN swap between a 3G device and a 4G device. You WILL be able to do a 3G-to-3G swap, and a 4G-to-4G swap (simply by swapping the SIM cards). The importance of power cycling: When making any changes to the account of a 4G device, it will require power cycling the device to get the changes to go through. Temporary numbers: We will no longer be using temporary phone numbers to port in, for both 3G and 4G. The plan PIN from a port-in activation will be held until the port completes, then applied, rather than moving a plan/balance from a temporary number. Device upgrades/downgrades: Upgrading from a 3G to a 4G device, and downgrading from a 4G to a 3G device, will not impact the active plan or expiration date. This applies to customers staying on the SAME PLAN and just upgrading/downgrading their device. Sign Up For Page Plus Today! Rush Star Wireless provides industry-leading service to meet and exceed our distribution partners and vendors needs. With over 20 years of wireless experience, Rush Star leverages long-lasting, solid relationships to deliver first class products and services to our distribution. © Rush Star Wireless 2014. All Rights Reserved.